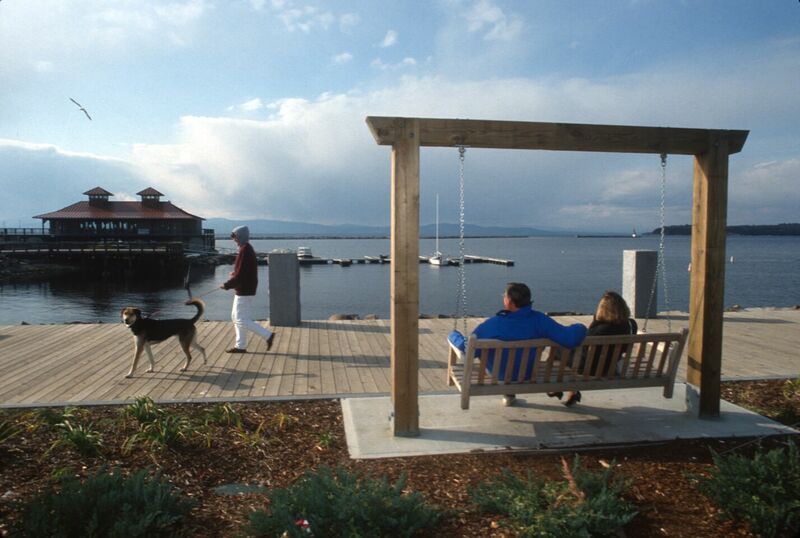 Our partnership with the City of Burlington began in 1991, when we helped the city purchase 45 acres of land on Lake Champlain from the Central Vermont Railway. The property, which includes an abandoned rail line, was protected with a mix of funding from the city and the Vermont Housing and Conservation Board. In 1998, Burlington officials requested our assistance in an effort to identify and protect Burlington's most important open spaces. We worked with the Conservation Commission, town officials, and others to elicit public discussion about the future of the city's open space, complete the Burlington Open Space Protection Plan, and begin its implementation. In 2001, we teamed up with Burlington Bikeways, the Lake Champlain Land Trust, and the Winooski Valley Park District to create a new park along the Winooski River where it flows into Lake Champlain. Known as Mayes Landing, this one-acre property is now a scenic park and resting spot at the end of the Burlington Bike Path.